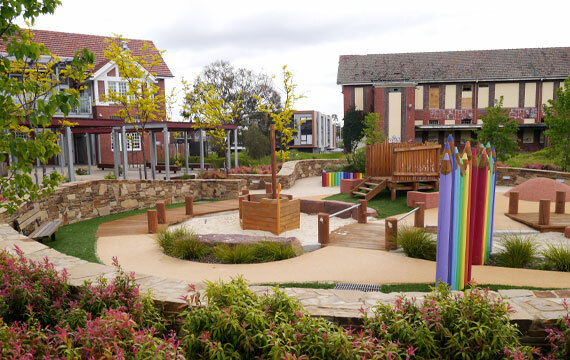 Green & Dale Associates were engaged by Woodhead Architects & Darebin City Council to develop a landscape design for the grounds of Lancaster Gate, a historic 1940’s hospital building renovated and modified into a sustainable Community Centre. The Centre needed to provide the growing population with access to maternal and child health services, family services, children’s learning activities and community meeting spaces. 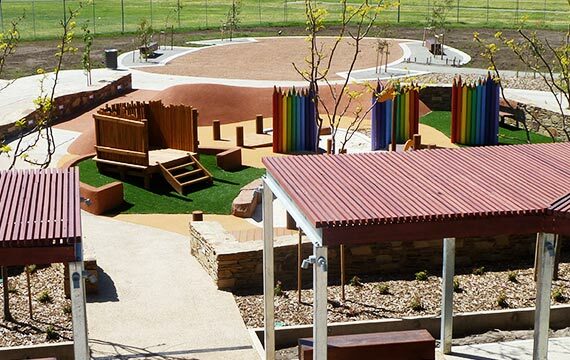 Green & Dale Associates were initially involved in generating a master plan for the site and have since been involved in the design, documentation & administration of the landscape across three stages. 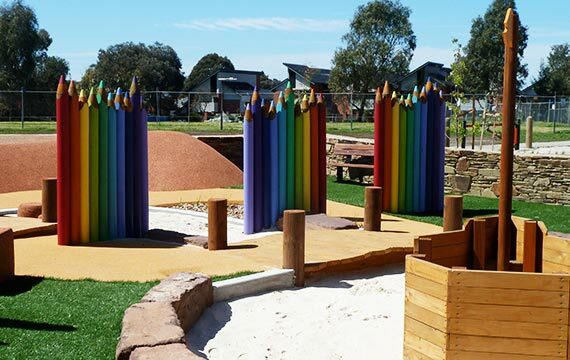 Areas constructed to date include a paved Community Gathering Space including timber pergola, BBQ and seating, a children’s playground including custom play equipment and sculptural elements, an outdoor Art Space, a quiet secluded courtyard, and an outdoor playspace for a Child Care Centre. 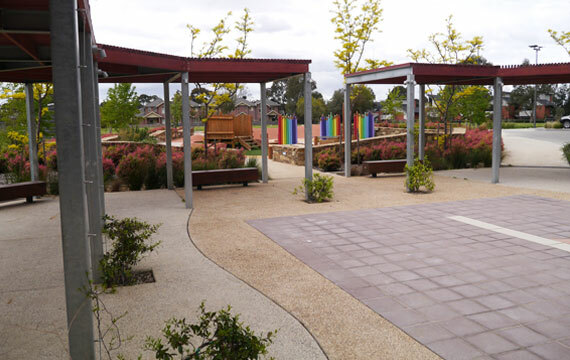 Sustainable initiatives in the design include bioretention swales around the carpark, rain gardens around the Community Gathering Space, and energy efficient LED street lighting. The final stage of the project will include a large Community ‘Green’ surrounded by a Community Vegetable Garden, further seating and gathering spaces, and indigenous planting blocks.